Publisher: Gagosian Gallery, in association with Rizzoli International Publications, Inc.
Dimensions: 25.7 x 31.1 cm Weight: 2 lbs. 1 oz. Gagosian Gallery is pleased to present an exhibition of paintings and sculptures by Glenn Brown. In Brown's work images come and go without ever becoming completely fixed. Borrowing images is but the first step. These borrowings are then subjected to a slow and intuitive process over many months, by which the subject and medium of each painting slowly morph and accumulate into 'replicant' versions of their former selves. Interestingly, Brown describes the end of this process as "ceasing" rather than "finishing" as if to suggest that the image, like life, might remain in perpetual flux. His deft scrambling and conflating of subject and genre combined with the obsessive bravura of his brushwork continues to provide challenging comment on the condition and reach of painting at a time where human experience has become largely vicarious. Brown's mannerist inventiveness derives from a desire to examine and pervert the existing thicknesses of history, to recollect an open-ended mesh of references to painting and cultural history, past and present. In doing so, Brown creates a carnivalesque world where the rational and the irrational, the abstract and the visceral, the beautiful and the grotesque, are brought together in a vigorous state of play. His evocation of images— from Rococo to Mannerist, Expressionist and Surrealist—disturbs because these sophisticated distortions prevent the original sources from ever being truly fixed and identified. The heterogeneous titles -- Come All Ye Rolling Minstrels, Debaser, Youth, Beautiful Youth and so on -- echo from pop culture, past and present, adding an element of free association to his perverse and slippery formula. Beneath the sheer, flat surfaces of Brown's paintings lurk roiling depths and textures, intricately described yet deprived of mass. In his lurid subjects, history swirls against vapors or in the silent vacuum of another world. His unreal figures float and melt in the passage of efflorescent growth or decay as morbid reflections on the grand visions and gestures of image-making, the tenuous structures of life, death, myth and cliché, and the textures of the physical world that support them. In War in Peace, Brown returns to motif of the human foot, altering colors, forms and details to transform the terms of his original inquiry while recalling paintings by Courbet and Baselitz. The liquefied torso of Christina of Denmark similarly transforms the body into a swirling mass of carefully applied brushstrokes that dematerialize the figure. InNausea, Brown invokes Velázquez's Portrait of Innocent X (c.1650) as well as Bacon's later version, however by inverting the body and removing the screaming head that makes Bacon's version so disturbing, Brown has created a third, equally striking version. In sculptures, such as Wooden Heart (2008), a 'portrait' that is built entirely of thick strokes of paint, his fascination with the physical properties of his chosen medium is given ultimate expression as both the subject and object of the work. This exhibition is accompanied by a fully illustrated monograph co-published by Rizzoli. 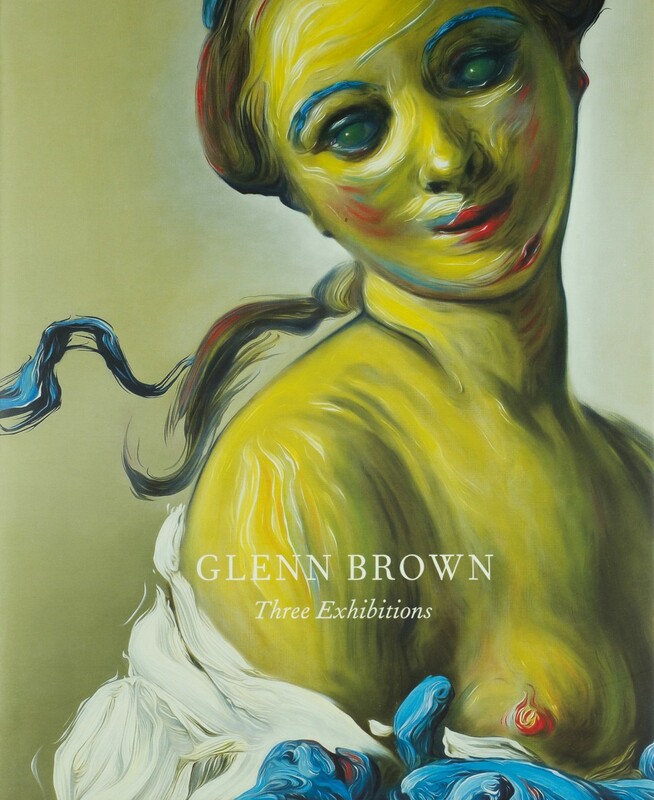 A compilation of Glenn Brown's past exhibitions with the gallery, the book will include a new essay by Rochelle Steiner as well as earlier essays by Michael Bracewell and David Freedberg. Glenn Brown was born in Northumberland, England in 1966. He studied at Norwich School of Art, the Bath College of Higher Education, then Goldsmith's College, London. He was nominated for the Turner Prize in 2000. His work has been the subject of numerous solo and group exhibitions including the Serpentine Gallery, London (2004), Ecstasy: In & About Altered States, Museum of Contemporary Arts, Los Angeles (2005), Delays and Revolutions, Biennale di Venezia (2003), and Domaine de Kerguehennec Centre d'art contemporain, France (2000). A retrospective of his work was recently on view at Tate Liverpool in 2009 and traveled to the Fondazione Sandretto Re Rebaudengo, Turin.